Here’s a really nice Raptor that’s 11″ long and has a feathered ridge down the back. It’s one of our favorites from this great, reasonably-priced, large (but lightweight) collection of dinosaurs. 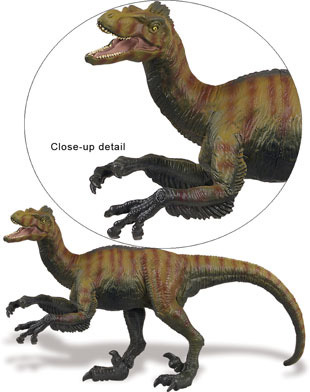 Tags: collectibles, Galaxy Toys, velociraptor, figure, Model.